Nora Gardner Leyla Wrap Dress. Credit to Nora Gardner New York. Over the last two years, I’ve made an effort to patronize independent, women and LGBTQ-owned businesses. This is fairly easy with fashion, but harder when it comes to attire for a business formal environment. There are two brands that are killing the game right now. Nora Gardner is a NYC-based designer who left Wall Street to make workwear for women that makes them feel “confident, attractive and comfortable.” Her line ranges from sheath dresses in neutrals and bright pops of candy colors to monochrome multi-piece suiting that interchanges seamlessly. It reminds me very much of the wonderful women’s line Quincy that existed briefly in the early 2010’s, but is still entirely in its own category when it comes to quality and craftsmanship. Her spring collection is just starting to drop–and I know I’ll be adding more of her gorgeous dresses and hopefully one of her sleek suits to my closet. Her customer service is also out of this world – Nora herself has responded to inquiries, and shipping is lightning fast. Additional bonus: ALL of her wares are manufactured in New York’s Garment District. Argent has also stolen a piece of my heart lately with their quirky pantsuits for working women. Started in 2016, Argent is a bi-coastal business founded by a former J. Crew designer (Eleanor Turner) and a former tech executive (Sali Christeson). You can see the playful prep influences in Argent’s line of double-breasted blazers and cropped trousers, but the delight is in the details, with mesh lining for ventilation and zippered interior pockets so you can truly go hands-free for the day. The only reason I haven’t bought one of their suits yet is I haven’t been able to try on tops and bottoms in the same colorway, in my size, at their D.C. showroom. So, Ms. Turner and Ms. Christeson, I beg of you–please stock more sizes! Thanks Catherine! She is a fellow alum of New College in Sarasota and is currently working on an MBA at Georgetown. If you want to ditch your iron and still want to look sleek but comfortable, Ministry of Supply is my go-to. I like the simple color palette and the fact that they engineer their clothing to fit all female forms. They even provide tailoring services if you need it. I love the range of styles and price points in these brands, as well as their unique points of view. There are, after all, millions of women of different shapes, sizes, and attitudes toward clothing in the U.S.
Each brand listed above is also helping to solve one problem or another, whether the price of finely-tailored workwear, the traditionally bland color palette, or the care and maintenance requirements. Campomaggi • rustic and beautifully Italian, carried at Barneys and in local boutiques around the U.S. While Bloomberg paints a sad picture for the state of affairs in American apparel and retail, I don’t believe that clothing is of diminishing importance to Americans or will always be a smaller share of wallet. It’s just that experiences and food are having a big moment. 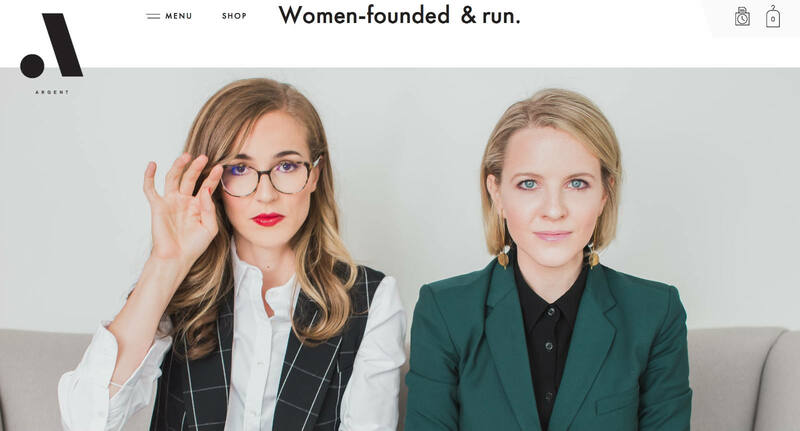 The startups listed above are changing the way we think of modern workwear, and making it easier and more affordable to be stylish, polished, and still get the craftsmanship of made in North America or Europe. Many of them are also supporting domestic manufacturing, another downward spiral I see slowly reversing.